Home Articles Around The Web AMD Prepping R9 Fury X2 In Time For The Holiday Season – But Can The Dual Fiji Radeon Flagship Deliver? AMD Prepping R9 Fury X2 In Time For The Holiday Season – But Can The Dual Fiji Radeon Flagship Deliver? AMD is preparing its fastest graphics card yet, a dual GPU flagship based on the industry’s first HBM GPU code named Fiji. The new premium Radeon graphics card is set for a Q4 launch, in time for the 2015 holiday season. AMD has not as of yet announced the commercial name that will be designated for this particular product, so we’ll refer to it as the R9 Fury X2 in the time being to make it easier for everyone involved. 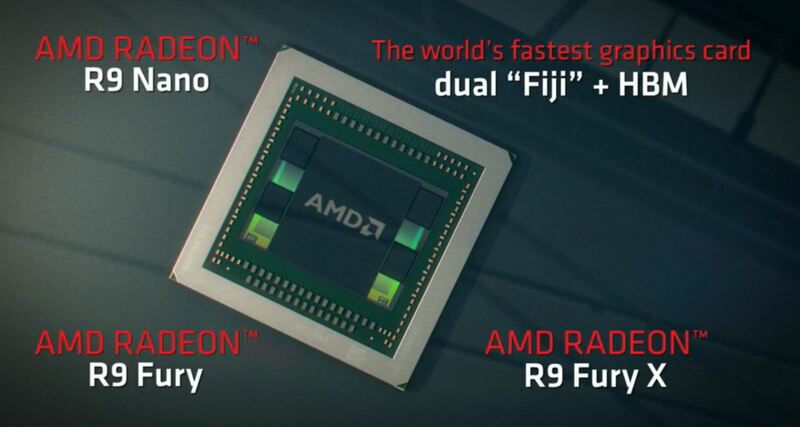 The R9 Fury X2 will be the fourth and last Fiji based graphics card from AMD this year. The card will feature two full fledged Fiji XT GPUs with 4GB of stacked High Bandwidth Memory each, for a total of 8GB of memory and a combined memory bandwidth of one Terabytes per second. The actual board design is pretty much finalized at this point. AMD engineers are purportedly hard at work optimizing for clock speeds, power and CrossfireX scaling. They have their work cut out for them for sure as we’re told AMD is gunning for the crown of the world’s fastest graphics card. 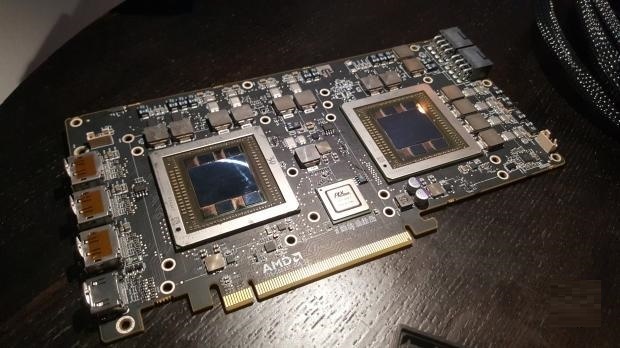 Which shouldn’t really come as a surprise, looking back at AMD’s previous dual GPU graphics card launches including the R9 295X2, HD 7990, HD 6990 and all the way back to the HD 3870×2 the goal with every one of these launches had always been to claim the title for the world’s fastest graphics card. These are all very impressive figures, but without effective multi-GPU scaling they don’t mean much. And that begs the question, can the upcoming Radeon flagship deliver? AMD had already confirmed during Fiji’s launch event at E3 this past June that the new flagship will be out in the fall of 2015, so it’s not a question of when but how. Well surprisingly that’s not a difficult question to answer. Because despite having two GPUs on a single board, the graphics card will actually behave just like two separate R9 Fury X cards in a CrossfireX configuration. So all we really have to do to answer that question is look at how well a Fury X – or any Fiji based graphics card – does today in a CrossfireX configuration.